Founder and Head Coach of Sole Girls Ashley Wiles will be taking 12 women and girls ( mother/daughter teams, friends, women who want to change lives) to the Dominican Republic to help make a difference in our global community. RESERVE YOUR SPOT!!! Fill out the Questionnaire at the bottom of the page! We will be working with Ruben’s Shoes, a Registered Canadian Charity who have been delivering shoes to the Dominican Republic for 5 years. The Story: Kelly Strongitharm, has been sponsoring Ruben through World Vision since he was three years old. After seven years of watching him grow up through pictures and letters, Kelly was finally able to meet him in 2012 and her life was forever changed. The connection between them was instant and they gave each other unconditional love and complete understanding despite being from opposite parts of the world. In 2013, RS founder Kelly had the intention to collect a few hundred pairs of shoes from her friends and send them over to Ruben and his community in the Dominican Republic. We will work to deliver shoes, connect with the kids in the local communities and change lives in an underserved neighborhood to bring fun physical activity and bring Sole Girls into their lives! We will work alongside local community members to provide footwear to those in need while spending time merging cultures and building relationships. On our trip, you will have the opportunity to experience and learn about a different culture first-hand. Prior to the trip the girls who will be attending the trip will be going through several leadership workshops including learning how to fundraise, Spanish language skills, and community building as well as monthly community fundraisers! **for those of you who want to fly out on the 15th, or book flights as a group leaving from YVR or add extra days at the ended, that is a possibility as well – please fill it out on your reservation! To help each learn about responsibility, leadership and how it feels to give, we are creating the opportunity for each person to fundraise their trip. Who is putting on this trip?  This Sole Adventure will be co-hosted by Reuben’s Shoes and Sole Girls! Our founder, Ashley Wiles has a background in latin American tourism and will co-lead this trip with Reuben’s Shoes! We want to create sustainable social giving and voluntourism by learning and experiencing life in developing nations. What will we do on the trip? Our focus is providing footwear to those in need while spending time merging cultures and building relationships with the local girls in the communities. We will have the opportunity to experience and learn about a different culture first-hand. The Dominican Republic is the second largest Caribbean nation after Cuba and nearly 10 million people, one million of which live in the capital city of Santo Domingo. How much does the Adventure Cost? This adventure costs $1,500cdn per person. Hotel accommodation at the Lifestyle Holidays Vacation Resort, All Meals, ground transportation, security, guides, excursion fees, travelers insurance, welcome package and materials, and a portion will go to Reuben’ Shoes and the community we work in and bringing donations. What is not included in the fees? Domestic or International flights, personal items, souvenirs, snacks, etc. We will be staying in a Private Villa with a pool in an All Inclusive Resort. Each individual registered for a trip is responsible for the trip cost. Sole Girls has fundraising pages that allow individuals to fundraise for their trip. Once you join the trip, we will send you all the fundraising information. Payment fees must be made online, or fundraised in order for the participant to remain on the trip. All cancellations must be in writing to Sole Girls. Sole Girls cannot refund any payments. Cancellation insurance is not included in the cost, but is available upon request.